The power management product range for power distribution in the data center is based on the consistent implementation of plug-&-play expansion – with no need to interrupt current operations. Down-times are avoided and future operating costs are lowered. Don’t see what you’re looking for below? Contact an expert to find a well-matched solution. Consolidated user interface for centralized management. Monitor and measure energy consumption costs (per device). Real-time visibility into power usage to operate or manage power more efficiently. Identify costs and trends to simplify power and cooling capacity planning. Determine actual energy usage by department to create charge-back process. Identify what activities can be moved to off-peak times or virtualized servers. Ability to set a maximum on power usage and threshold alerts to stay within budget. Preemptive notifications and environmental alarms. 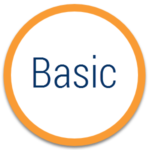 Integration with DSView 4 software provides a consolidated tool for complete management of IT assets from a single interface. Gather and aggregate power information from a variety of different PDUs. Capture power usage at any moment in time and energy usage (kWh) over a period of time. Power management as well as power control to individual outlets. Aggregation and reporting at all levels within the data center. Calculate costs to power a rack (racks or entire data center) per moment, per day or over time. Provide power to the IT equipment without any advanced features such as metering or monitoring. They are widely available, easy to use and have a lower cost. Provide the data necessary to properly load and balance rack power circuits. LED display lets administrators know how much headroom exists between current capacity and the maximum draw of the strip. Typically include the feature sets of metered products in a single unit but also has the ability to remotely (IP) monitor the state of the distribution unit. 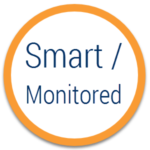 Provides unprecedented reliable and granular visibility into power consumption, coupled with remote/network power, and environmental monitoring. The UPS has it’s own rechargeable battery which provides emergency power for your system immediately when the main supply is cut, therefore preventing data loss. 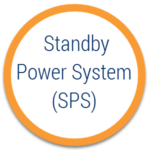 In the event of a sustained power failure, the UPS will provide sufficient battery power for your files to be saved and for the whole system to be shut down in an orderly manner. If an alternative power source such as a generator is available, the battery will provide sufficient power to keep your system running until the secondary supply is brought online. Most UPS’s also filter the power supply entering your computer system, limiting the detrimental effect of “spikes”, “noise” and other electrical disturbances. Automatic Transfer Switches are critical components of any emergency or standby power system needing to maintain up-time. These switches automatically sense power loss and seamlessly switch to a back-up circuit. An ATS can provide fast (load transfers within 8 to 15 ms) and reliable load transfers from one power source to another.These type of switches are reliable, compact rack units for transferring essential loads and electrical distribution systems. The ideal environments include cloud computing infrastructures and data center racks filled with one-power-supply devices and adds an additional piece of automation in an increasingly automated data center. Remote reboot power management solutions allow administrators to remotely power cycle servers and devices and troubleshoot problems, both locally and remote, from any location in the world. This provides administrators with the ability to manage servers more efficiently and reduce server downtime by affording direct access to power control. Remote power management solutions are also used by many businesses and organizations to manage servers at offices and branch locations where there are no IT staff members, offering cost-efficient “lights-out” operation at those sites. Remote power management solutions add increased functionality over traditional metered and basic power products. While many server rack power distribution units (Rack PDUs) can provide basic information and amperage readings, only intelligent or “switched” Rack PDUs truly provide the benefit of outlet-level management. In determining an appropriate power management solution, integration with today’s KVM over IP solutions should be considered. Most enterprise KVM over IP solutions provide the ability to integrate power management within the same interface as the console session on each attached server. This integration can provide Data Center administrators with comprehensive remote power management capabilities. Several products now provide branch circuit protection – each branch of grouped Power Outlets has its own fuse and circuit breaker, to isolate power anomalies and issues. The use of 3-Phase power in server room and data centers is on the rise. 3-Phase power provides more balanced power loads and allows a greater flow of power into a server rack, while using fewer circuits. Several products offer the ability to inflow of power to each receptacle, to prevent circuit overload and allow systems to reboot in sequence, such as firewalls, then routers, then servers.